Published by Brooklyn Dust Music/Universal Polygram International Publishing, Inc. (ASCAP). Engineered at RPM Studios, NY, NY. 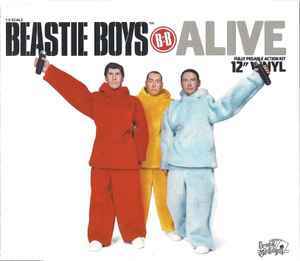 Alive contains a sample of "I'm Still #1", written by L. Parker, published by Zomba Enterprises Inc. (ASCAP)/BDP Music (Admin, by Zomba Enterprises Inc.) (ASCAP), and performed by Boogie Down Productions, courtesy of JUVE Records. This track has been re-mastered. ℗ 1999 The copyright in this sound recording is owned by Capitol Records Inc.